Geronimo Stilton #4:I'm Too Fond of My Fur! Geronimo Stilton #6:Paws Off Cheddarface! 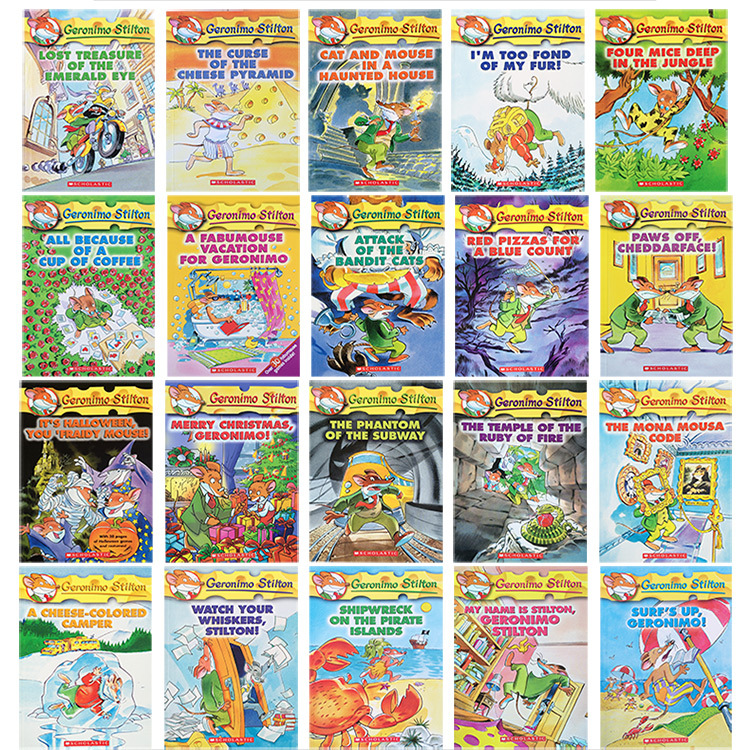 Geronimo Stilton #12:Merry Christmas, Geronimo! Geronimo Stilton #17:Watch Your Whiskers, Stilton! Geronimo Stilton #20:Surf's Up, Geronimo!